Harris, Carolyn. "Princess Louise Margaret, Duchess of Connaught". The Canadian Encyclopedia, 28 March 2019, Historica Canada. https://www.thecanadianencyclopedia.ca/en/article/princess-louise-margaret-duchess-of-connaught. Accessed 22 April 2019. Princess Louise Margaret Alexandra Victoria Agnes of Prussia, Duchess of Connaught and Strathearn, vice-regal consort of Canada (1911–16) and philanthropist (born 25 July 1860 in Potsdam, Prussia (now Germany); died 14 March 1917 in London, United Kingdom). The Duchess of Connaught sponsored Red Cross hospitals for the Canadian Expeditionary Force during the First World War. Princess Louise Margaret Alexandra Victoria Agnes of Prussia, Duchess of Connaught and Strathearn, vice-regal consort of Canada (1911–16). Photo taken 18 December 1907. On 13 March 1879, Arthur and Louise Margaret were married at St. George’s Chapel, Windsor. They had three children, Margaret (1882–1920), who married the future King Gustaf VI Adolph of Sweden in 1905; Arthur (1883–1938) who served as Governor General of South Africa from 1920 to 1924; and Patricia (1886–1974) who accompanied her parents to Canada and became a prominent public figure there. The Duke had a long military career with postings throughout the British Empire and the Duchess accompanied him around the world. She became the first European princess to reside in India and established hospitals for women with female doctors and nurses in Bombay (now Mumbai). In 1890, the Duke and Duchess traveled across Canada as part of a round the world tour, staying with Governor General Lord Stanley	at Rideau Hall. The couple were impressed by the grandeur of Canada’s landscapes, including the Rocky Mountains	and Niagara Falls. Portrait of Louise, Duchess of Connaught by American artist John Singer Sargent (1908). The Duchess acted as hostess at Rideau Hall and accompanied her husband on cross country tours. She attended the first Calgary Stampede	in 1912. She visited New York that same year. During periods of ill health, her daughter Princess Patricia assumed her public duties. The Duchess identified public health as an early priority for her time in Canada. Within weeks of arriving in Ottawa, she had inspected a number of local hospitals and was dismayed to find unsanitary conditions, poor ventilation and patients with contagious diseases in the same wards as surgical cases. Her concern for hospital management and hygiene shaped her patronage of military hospitals during the First World War. At the outbreak of the First World War in 1914, the Duchess established the Duchess of Connaught Hospital Fund to raise money for the establishment of military hospitals in Europe to care for wounded members of the Canadian Expeditionary Force. Nancy Astor, Britain’s first female member of parliament, offered the use of her residence Cliveden House (in Taplow, England, near Windsor Castle) to the Canadian government. The Duchess of Connaught’s Canadian Red Cross Hospital was built on the site of estate’s tennis court and bowling alley. Press coverage of the hospital emphasized how it was “thoroughly up-to-date, complete and convenient” with an x-ray machine, laboratory, pharmacy, operating theatres and “a Thresh Steam Disinfector” to ensure hygienic conditions. The hospital was one of several hospitals and convalescent homes funded by the Canadian Red Cross in Britain and France. 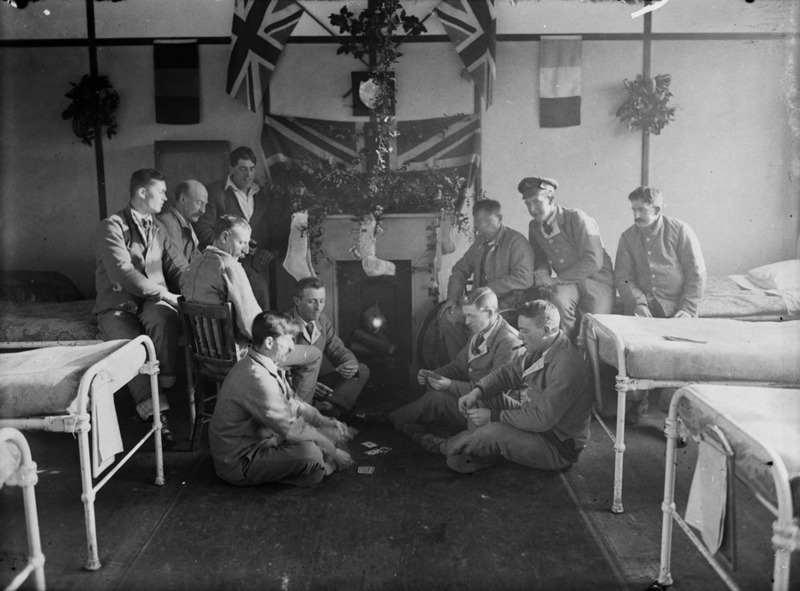 Christmas Day 1917, at the Duchess of Connaught Red Cross Hospital in Taplow, England. The hospital was one of several hospitals and convalescent homes funded by the Canadian Red Cross in Britain and France. It was built on the Cliveden House estate near Windsor Castle. 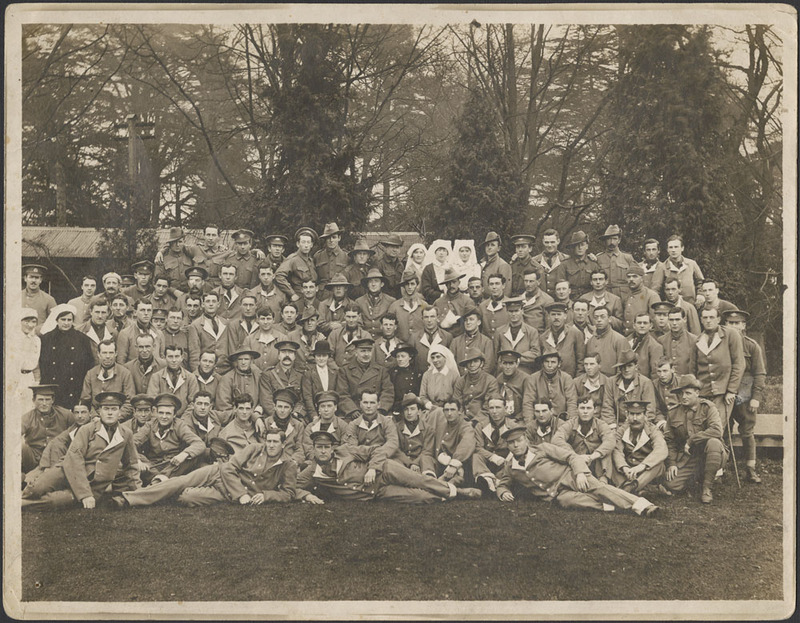 Group of soldiers (Australian) and nurses posed outside of the Duchess of Connaught Red Cross Hospital (Taplow, England, ca. 1916). 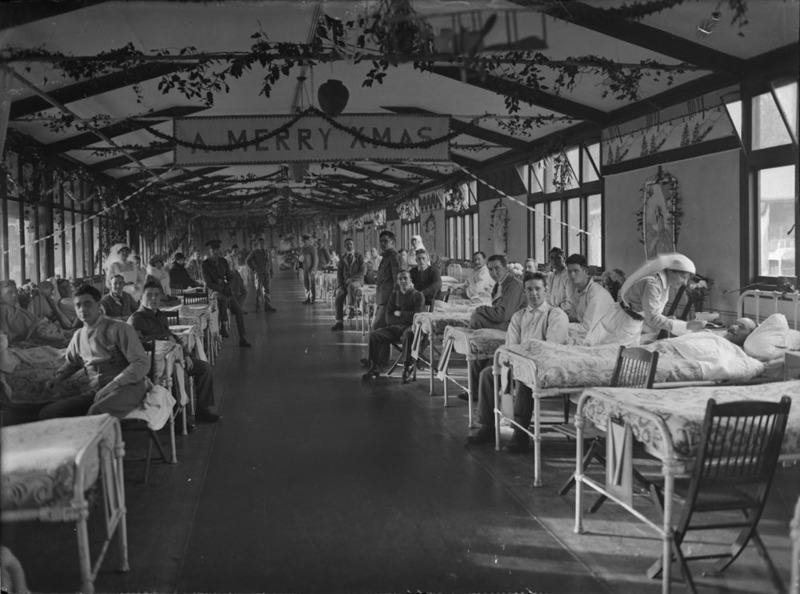 The hospital was one of several hospitals and convalescent homes funded by the Canadian Red Cross in Britain and France. The Duchess also contributed to wartime initiatives by Canadian women’s organizations. In 1914, she donated $1,000 to the Imperial Order Daughters of Empire’s initiative to provide a fully equipped hospital ship to the British Admiralty. The Duchess ultimately took charge of the fund, which raised $100,000 for ambulances in England and France and the “Canada Block” of the naval hospital at Haslar. The Duchess set a high standard of public service for future viceregal consorts. Alice Massey, the wife of future Governor General Vincent Massey, praised the Duchess to one of Duke of Devonshire’s aides-de-camp stating, “The Duchess of Connaught was loved throughout the length and breadth of Canada and she was untiring in her war work.” In 1916, the Duchess became honorary Colonel-in-Chief of the 199th Canadian (Overseas) Infantry Battalion (The Duchess of Connaught’s Own Irish Canadian Rangers), which served in the First World War as part of the Canadian Expeditionary Force. 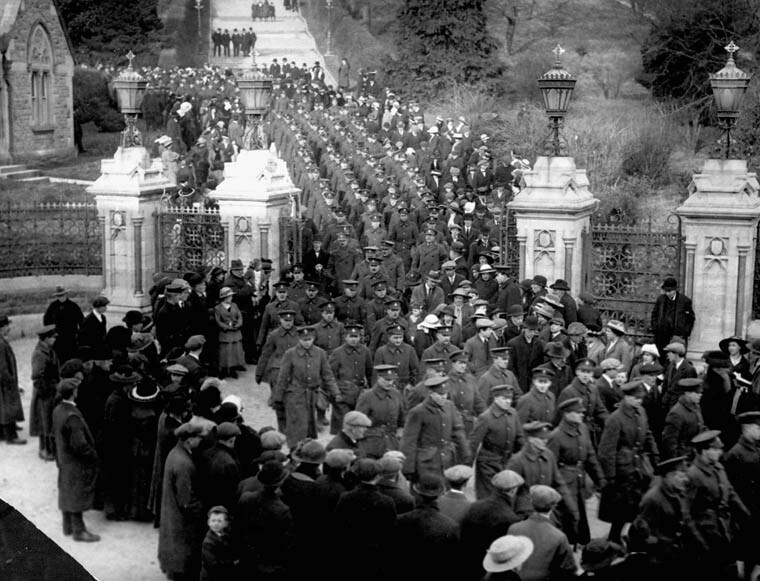 The 199th Canadian (Overseas) Infantry Battalion (The Duchess of Connaught’s Own Irish Canadian Rangers), served in the First World War as part of the Canadian Expeditionary Force. The Duke and Duchess of Connaught took a strong interest in the arts and both their daughters were accomplished painters. 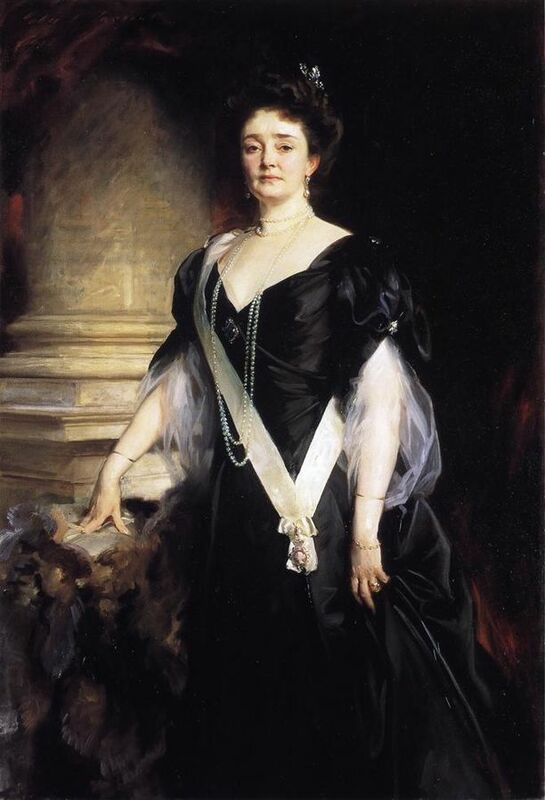 The Duchess of Connaught sponsored art exhibitions in Canada and supported the work of Canadian artists. In 1912, she was the patron of an exhibition of paintings, watercolours, pastels and drawings by the artist Mary Riter Hamilton	at the Winnipeg Industrial Bureau. The Duchess purchased three of Hamilton’s paintings. In 1914, the Duchess became patron of the Canadian Ladies Golf Union and donated the Duchess of Connaught Gold Cup, which remains the winner’s trophy for the Canadian Women’s Amateur Championship. The Duchess suffered from extended periods of ill health during her time as viceregal consort. In 1912, she suffered symptoms of what appeared to be appendicitis or peritonitis while in Quebec. In March 1913, she returned to the United Kingdom with the Duke for an operation and a period of convalescence. 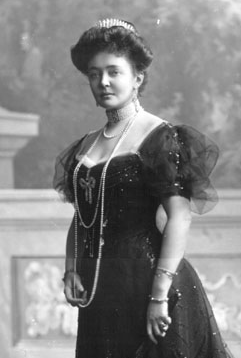 She suffered a relapse and required a second operation, prompting speculation that Connaught would end his term as Governor General that year. However, the Duchess recovered sufficiently to return to Canada with her husband in October of that same year. In 1916, the Duke resigned as governor general due to his concern about the impact of Canadian winters on his wife’s health. After her return to Britain, the Duchess devoted her efforts to alleviating the conditions faced by Canadian prisoners of war in Germany, writing to the Director of Prisoners of War in her capacity as President of the Canadian Red Cross	Society in 1917. A few weeks later, she died of influenza and bronchitis at Clarence House in London. She was the first member of the royal family to be cremated and her ashes are interred at Frogmore.